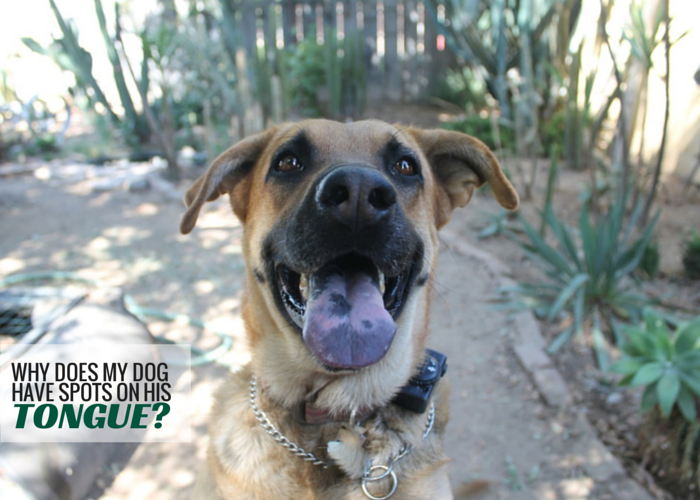 You are here: Home / Why Do Dogs / Why Do Dogs Have Spotted Tongues? Why Do Dogs Have Spotted Tongues? Contrary to popular myth, black spots on your dog’s tongue does not mean he’s part Chow. While it is true that one of the most well known physical traits of a Chow is his blueish black tongue, it’s not a trait that’s unique to the breed. Labs, Shepherds, and Golden Retrievers are also known to have spots on their tongues. In fact, over 30 breeds are prone to spotted tongues. In addition to the Chow and Shar Pei there are over 35 other breeds that are known to develop dark spots on their tongues. And regardless of breed some dogs develop extra pigmentation on various parts of the body throughout their life, including the tongue. So why do dogs have spotted tongues? Dogs have dark spots on their tongue due to extra pigmentation, just like freckles or birthmarks on humans. Dogs can also have dark pigmentation on their skin that look like freckles. My dog Laika has spots on her tongue and numerous dime sized “freckles” on her chest, but her DNA test didn’t show any Chow. Dark spots on your dog’s tongue or skin does not mean they’re part Chow. Having some Chow in any mixed breed dog is a possibility since they’re one of the oldest breeds known to man, but there’s also 38 other breeds known for having spotted tongues. Dark spots on the tongue are common among a wide variety of dog breeds. If you were hoping to narrow down your dogs genetic make up based on their tongue alone you’re not going to get very far. You can narrow down the field slightly, but you’re still looking at many combinations when you consider 38 breeds are prone to developing spots on their tongue. The spots on your dogs tongue come down to genetics. Many of these breeds are part of the Spitz family, and quite a few of them have Spaniel or Pointer ancestors. A lot of these dogs are known to have come from Germany and the United Kingdom. So while there are some definite similarities in some of these breeds no one’s been able to determine exactly why these breeds have tongue spots while others do not. Flat spots of pigmentation are just like a birthmark on you; a unique physical trait. However, if your dog develops any suspicious new spots on their tongue or skin be sure to get them checked out by your veterinarian. 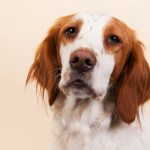 Canine melanoma and Squamous Cell Carcinoma can appear as spots on your dogs skin, and oral cancers can present themselves as pigmented fleshy masses inside your dogs mouth. Have your dog checked by a veterinarian if you see any unusual changes in his or her mouth. Routine dental care such as brushing your dogs teeth and oral examinations are both great measures to help aid in the early diagnosis or oral cancers. 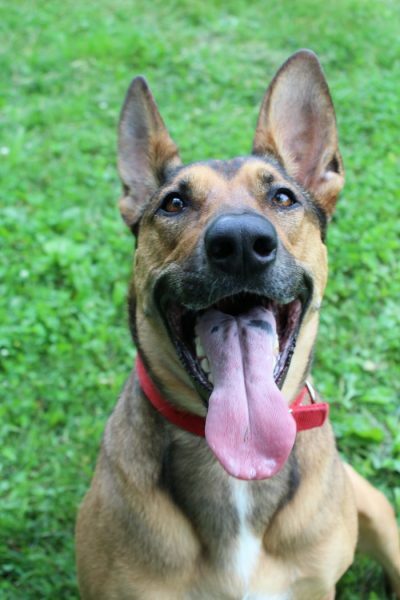 Here’s Laika’s spotted tongue, and as expected her DNA showed a lot of Dingo German Shepherd, not any Chow. 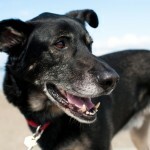 Why Do Dogs Go Grey Early? 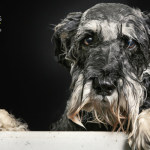 Why Do Dogs Go Crazy After a Bath? 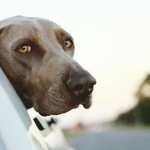 Why Do Dogs Stick Their Heads Out Car Windows? WOW! I have never seen a spotted tongue!! Hope you had a great weekend? Interesting. I had no idea how many breeds had a tendency toward spotted tongues. If Laika’s any indication I’d say… Well no, I would be curious to know more about the genetic markers though. If we go far enough back we could probably claim all dogs are part Chow. I hear it a lot as well because Laika has a big spot on hers as well. I don’t know if “cute” is the right word but I love hers – it adds more character. Interesting! We get lots of folks at the shelter where I volunteer who say “Oh, spotted tongue. Must be part chow.” The fact that the dog looks nothing like a chow doesn’t seem to sway them! So, I knew there must be other breeds with spotted tongues – but didn’t know it was that many! It’s such a wide spread myth – though I understand it since Chows are one of the ancient breeds I’m sure if you go back long enough we could say a lot of breeds are related. I wasn’t aware the phenomenon was so wide spread. I was sure Eko didn’t have spots on his tongue, but slightly less sure about Penny so I checked for good measure. That’s interesting. I always think of chows when I see black spots on a dog’s tongue, so thanks for clearing up that myth. It sounds like, yes, chows often have black tongues, but so do a lot of other breeds. Makes sense! I recently met a black Lab with a black tongue and a German shepherd mix with a black tongue, and I wondered if they both somehow had chow in their heritage. Probably not! I guess it’s hard to say for sure considering Chows go back such a long way; many breeds might have some Chow heritage in them but when it comes to mixes the possibilities are endless with such a big list. Our Tino had some extra spots, but none of our Labs have…at least not yet. Sage has her own tongue spots and doesn’t fit with any of the breeds on the list. Maybe there’s something else mixed in besides Border Collie and Kelpie???? 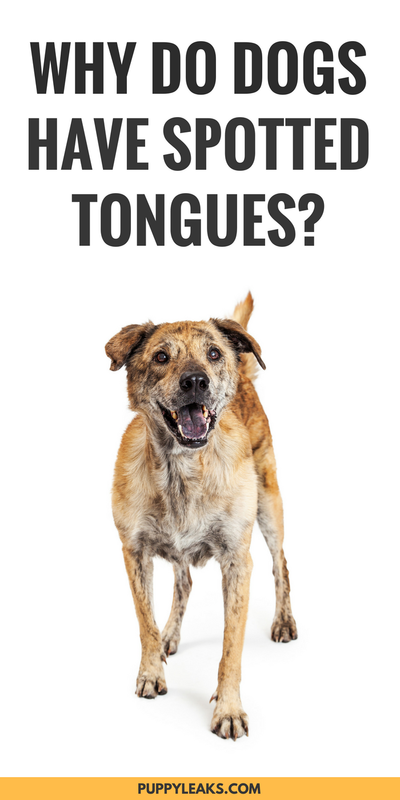 Interesting, I didn’t realize so many different breeds and mixes could have spotted tongues and it’s good to know what to look for in case of changes to the tongue. Interesting. I am kind of surprised that Chessie are not on that list. Not because I any of my dogs have spots on their tongues, gums yes, tongues no, but because many of the breeds they derived from are on the list. Yeah it’s pretty weird how it’s missing quite a few breeds. Great article! Genetics is also the same reason that dogs have different colored toe nails. The color of the nail depends on the color of hair around that toe. If it’s a dark color it will be a dark toe nail. I wish all of Laika’s toes were white then – it would make trimming so much easier! Though I love her multicolored feet; it adds to her character. I used to get the spotted tongue comment all the time about my old dog Kona. I wish I knew that the spots were also prevalent in Shepherds too. Kona definitely had some Shepherd in him. Very interesting. Yeah it’s so funny that everyone always assume they must be part Chow considering it’s known to occur in so many other popular breeds. Wasn’t surprised to see Golden Retriever on that list! Comet has the most adorable spot on his tongue. Thanks for sharing! My dog has a spotted tongue and this confirms that she likely has some Rhodesian in her. I would figure it was a pigmentation thing just like we have spotted bellies. Sometimes the spots are pretty cool. You are right, they’re not on the list of dogs that commonly get them, BUT I have read a few others mention that their Shih Tzu’s also have those spots. So while it’s completely normal it’s just not particularly common. Thank you . I always wondered about that black mark on his tongue just as pictured here but only a spot kind of near the middle. He also has a funny two tone nose. His nose is black with a light brown center. Jedi has spots on his tongue. I find them endearing. Tongue spots are common in his line, but Jedi’s are lard more prominent than most. It bothers me when people see my gorgeous, obviously purebred German shepherd and ask if he’s part chow. He’s some sort of Shepherd mix, but beyond the Shepherd I guess it’s anyone’s guess. Though to me he certainly looks like he has some Lab in him as well. My 8 year old Australian Cattle Dog/German Shepherd/Chow Chow mix and her late doggy mom (German Shepherd/Chow Chow) have spotted tongues. I thought their tongues had spots because they’re part Chow Chow, but now I know the combination of their other breeds could have caused it too. Thanks for the info! My Airedale had one black spot on her tongue. It’s a cute birthmark. ???? My husband insists our flat coated retriever is part chow because or his spotted tongue. Even after I read him this article, he said-look at his paws, they’re huge. He’s obviously part chow. Uummmm…why would my 120 pound dog not have big paws?!? Stubborn? Yes, he is! Chow? No, my dog is not. Thank you for this article. You can add the Thai Ridgeback Dog to that list. Spotted tongues are characteristic traits of Vietnamese Ridgebacks also.